We all want more money. You could practically say it’s built into our DNA. No matter how much we have, there’s always that inclination to just get a little bit more at least, to make our lives just that much more convenient or comfortable. But, it also always seems like we’re a little bit low on cash for our current standard of living. So what are the options to prop that feeling into a positive direction? Well, a few ways to help the low-on-cash blues include getting personal loans, using crowdfunding campaigns, choosing to participate in some creating fundraising, asking friends and family for help, or even dipping into the credit potential that you’ve accrued over the years. The easy way to get a good chunk of cash fast is to take out a personal loan. There are even several ways of doing this. There are bank loans, company loans, loans from investors, loans from interested businesses – you just have to make sure that you plan on paying them back at a reasonable rate, and you can get that quick influx of cash pretty much any time you need it, and for whatever reasonable reason that you want. If you have an idea for a product or service and want some startup cash, you can always try crowdfunding. The good this about that method is that usually you have to get your entire project funded first before you get any money, so that’s one way to tell if your idea really has enough merit to get off the ground at all. A fairly small percentage of crowdfunding ideas actually go through, so it’s a great filter for ideas. Depending on what you need the money for, you can do some creative fundraising as well. There are digital and physical methods to accomplish your goals in this realm. For example, you could use a computer to raise donations. Or, you could figure out how to sell things somewhere, like at a festival for example. The more creative you get, the better your money inflow is going to be. Friends and family are a great source of cash. Sometimes you have to be a little humble, and sometimes you have to pick the appropriate time and place to ask, but if you have a good reason to want some money, your friends and family will typically be the first ones behind you. And finally, you can always go the credit route. 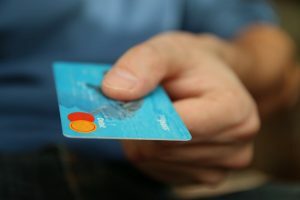 If you have a credit card or two that have a few thousands dollars in spare room at the top of them, just put all of your purchases on there for a bit. Understand that you need to pay it back as quickly as possible, the at least the initial cash will be there for you.